Well, sports fans, it was another exciting weekend of college football. Several traditional big rivalry match-ups were played, the most notable being Michigan versus “The Ohio State University”. 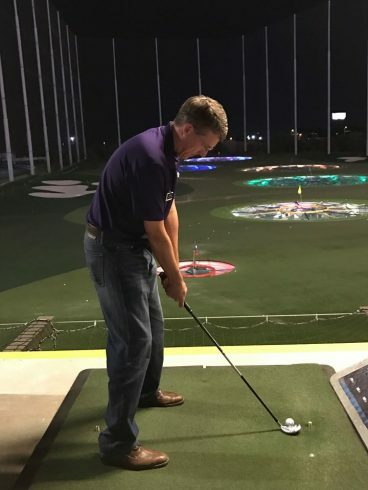 The two schools up in Okie-land delayed their annual “Bedlam” rivalry game until this coming weekend so they could focus on the turkey and dressing last week. The first of the following figures shows our adjusted rankings after week 13. 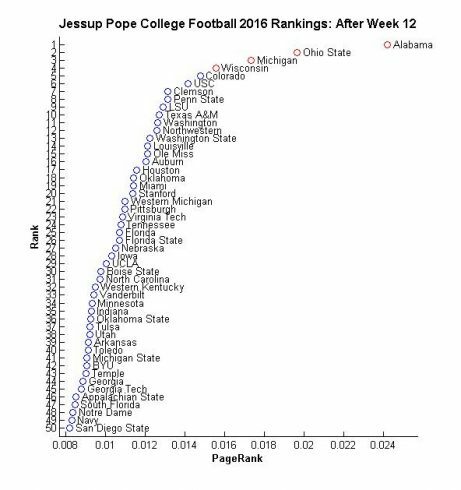 Note that, as before, Alabama stands out way above the rest, followed by Ohio State and Michigan after their close game, then another Big 10 team, Wisconsin, and the remainder of the top 50 teams. 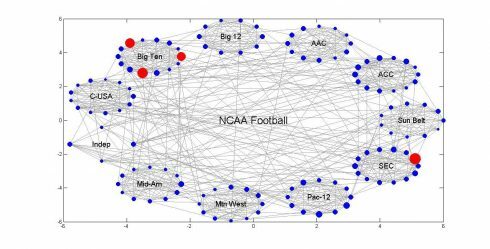 The second of the figures is a network representation of college football this season, with the dots representing the teams in the various conferences, or independents. The lines represent games played, both within conference and between conferences. The size of the dots reflects their rankings in our system. The large red dot in the Southeastern Conference (SEC) is Alabama, and 3 the large red dots in the Big 10 are Ohio State, Michigan, and Wisconsin. The sad tale of these figures is the demise of the Big 12. They seem to have forgotten that, after your team scores, you are supposed to put 11 other guys out on the field whose objective is to stop the other team from scoring. Our rankings place many schools from many conferences above any school in the Big 12. Thus, we do not predict the Big 12 teams this year to perform very well in bowl games, assuming that they get invited to any bowl game more significant than the Captain Crunch Breakfast Cereal Bowl. The most notable game this week happened on Thursday when the Houston Cougars beat Louisville in a tumbling loss for the Cardinals as they fell down from #5 to #14, even though both teams have a 9-2 record. 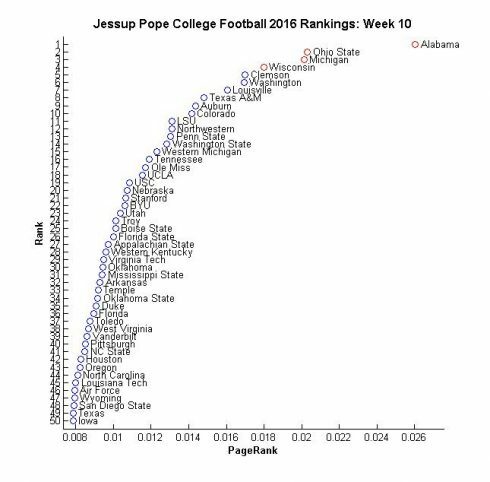 This is, in part, how the Jessup-Pope College Football Rankings (much like life) works. 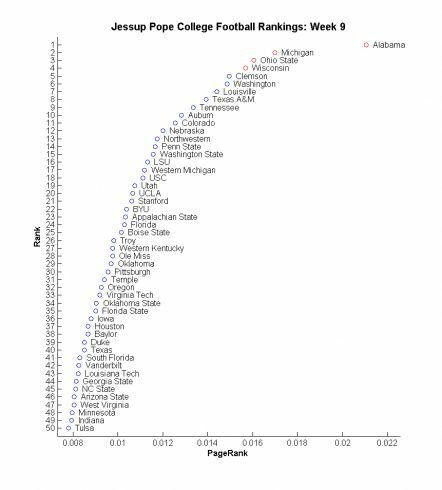 If you notice the bottom 6 teams on the chart, their PageRank scores do not differ as much as the top 4 teams. Even the difference between Alabama and Ohio State is huge. This just goes to show it’s easy to get to the top, but it is hard to stay on top (even though Alabama may say otherwise). The University of Houston Cougars were previously ranked #46 and are now ranked #17 on the Jessup Pope College Football Ranking system. We hope that everybody has a great week off of school and work and enjoys their Thanksgiving meals, perhaps while watching the 9-1 Cowboys face the Redskins on Thanksgiving day. The Lytle Center for Faith and Leadership Development hosted Brett Biggs, Executive Vice President and Chief Financial Officer for Wal-Mart Stores Inc. on October 25th, as the speaker at COBA’s annual Distinguished Speaker Series luncheon. 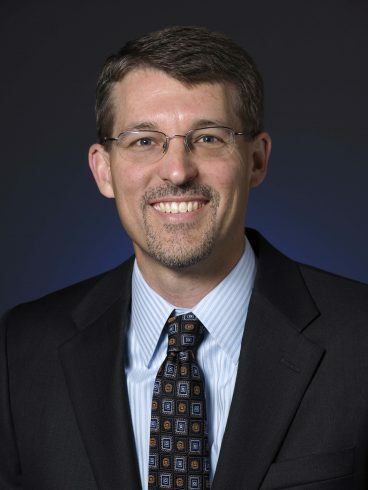 Brett Biggs, Executive Vice President and Chief Financial Officer for Wal-Mart Stores Inc.
Biggs is responsible for accounting and control, corporate strategy and development, business planning and analysis, internal auditing, treasury, tax, global shared services and several other key areas of the company. Before being appointed to his current role, Biggs was executive vice president and chief financial officer for Walmart International, where he was responsible for all global finance activities, including accounting and controls, business planning and analysis, financial services, and support for real estate, M&A and Strategy. 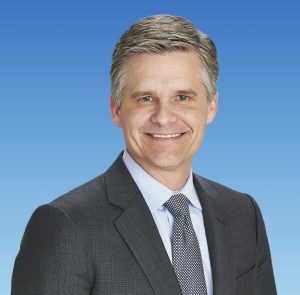 Prior to that, Brett served as executive vice president and chief financial officer for Walmart U.S., where he was responsible for U.S. finance functions including strategy, merchandising, logistics, financial services, real estate, operations, and financial planning and analysis. 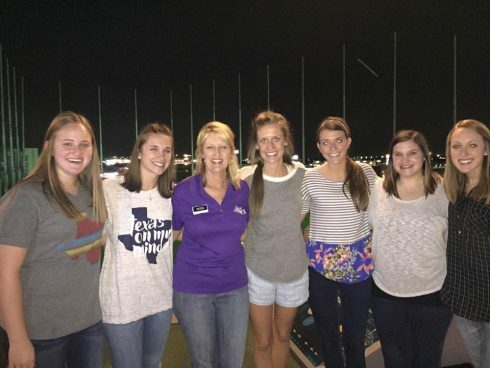 Biggs began his visit to ACU with a Q&A meeting with approximately 30 COBA students. The students had unfettered access to ask Biggs questions about his career path, how Walmart works and his best advice on how to jump start their own careers. 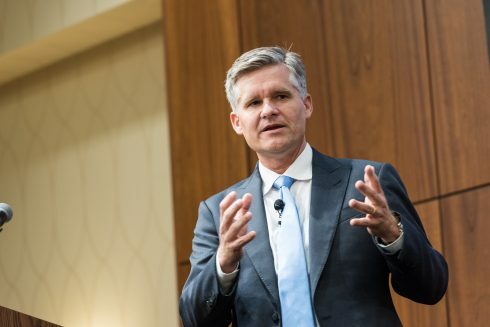 After the private gathering with students, he then addressed the luncheon crowd of about 200 guests, talking to them about Walmart’s corporate philosophy as well as his own beliefs on what it means to be a Christian leader in the workplace. Biggs also gave a personal anecdote when he told a story about meeting Sam Walton, who he described as a once in a lifetime kind of man and the greatest entrepreneur of all time. Biggs said that he met Walton on a field trip in college. Biggs happened to be carrying around a very big notebook while studying for the CPA exam. Sam Walton asked what the book was for and Biggs explained to him that he was intensely studying for the exam. Walton then told him that, “If you study hard and work hard you never know what you’ll be able to achieve.” Biggs said that today, his office is next door to Sam Walton’s former office. 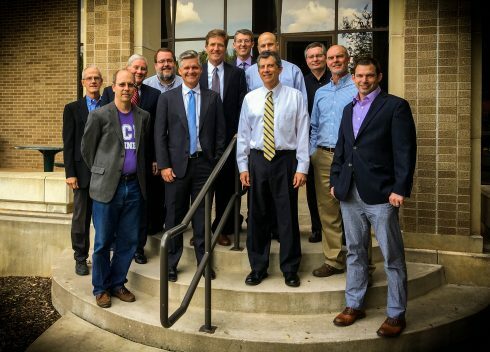 Biggs wrapped his trip to ACU up with a private meeting with some of COBA’s faculty, where they discussed current markets and opportunities for students. COBA would like to thank Brett Biggs for so graciously giving of his time and energy to our students, faculty, staff and community. 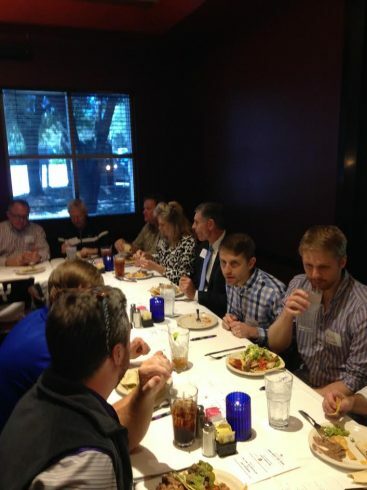 For pictures from the event, please click on this link for COBA’s FaceBook page. Well sports fans, it was one of those weeks. 3 of the top 4 CFP ranked teams went down in flames to defeat, as well as my dear old Texas Aggies. Since the top 4 CFP ranked teams end up in the most significant bowl games and play each other for the unofficial (not recognized by the NCAA) national championship, then we are going to see a scramble for the 2nd, 3rd, and 4th ranked teams at the end of the regular season. That assumes, of course, that Alabama remains in their overwhelming number 1 ranked position, which is surely to occur unless their team bus blows an engine and they fail to show at their remaining games. Our rankings did not change a great deal from the previous week (week 10) to week 11 (shown below). This is due to several factors: first, our algorithm is not bothered by a “defeat” as much as other rankings, as in the case of Michigan only losing by 1 point on the road against Iowa. Secondly, our rankings were never as excited about Clemson and Washington as other rankings had been. Our rankings, after the 800 pound monster Alabama, are very impressed with the body of work of several Big 10 conference teams. Among these is Northwestern, which is still flying below the radar on many rankings, but our rankings feel that they are a strong contender. Stay tuned for this coming weekend’s games. The only certainty is more surprises. 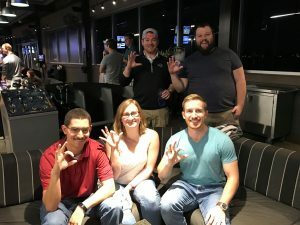 Hello wildcats and welcome back to our weekly blog post on the Jessup Pope College Football Rankings! 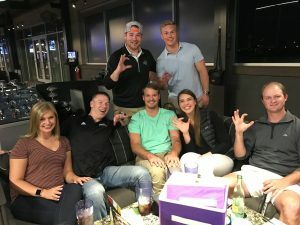 This week is the tenth week of college football and we’d like to talk you through some noticeable changes since last week. Our top four teams – Alabama, Ohio State, Michigan, and Wisconsin – remain the same but their order has switched. LSU lost to Alabama but they went up in the rankings from 16th to 11th. The score was close until Alabama broke the scoreless game in the last quarter by scoring 10 points. Ole Miss shot up through the rankings from 28th to 17th after a 37-27 win against the Georgia Southern Eagles. Nebraska went down from 12th to 20th after their staggering 62-3 loss to Ohio State. 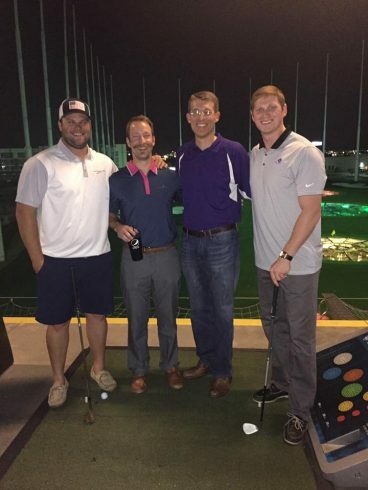 The most interesting turnout, however, was one between two of our home state teams, Baylor and TCU. TCU “clobbered”, as Ryan Jessup put it, the Bears 62-22 defeating them so badly that their running back was sidelined for attitude issues. Perhaps there is a silver lining in the Bears-Frogs game, the lesson learned that no matter how rough a game may get, one must always maintain a right attitude. That is it for this week. Come back and check us out again next week for more of the new and improved Jessup Pope College Football rankings! Go Wildcats!! 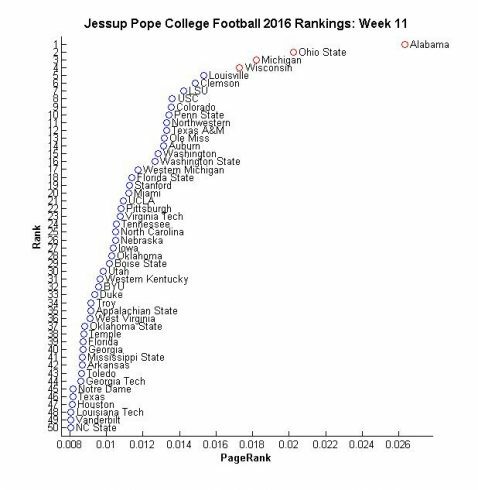 I present to you the first edition of the second season of the new and improved Jessup Pope (JP) College Football Rankings in which we rank all 128 college football teams in the bowl subdivision based on their performances through the first 9 weeks of the current season. Last season, Don Pope and I introduced our ranking system which uses a modified version of the Google PageRank algorithm – the algorithm that jump-started the search engine giant and still underlies their current approach today – to allow it to rank teams instead of webpages. We also enabled it to account for home field advantage and temporal decay of performances (this is where games early in the season weigh less in the rankings than more recent games), among other things. You might recall that last season we ended with the same final 4 as the college football playoff (CFP) rankings and predicted that Alabama would defeat Clemson in the Championship by 5.7 points, a game Alabama won by 5 points. Our model (a) beat Las Vegas and (b) correctly predicted the winner of the bowl games 51.2% of the time. For us, that is not good enough. So, in the offseason we grabbed more seasons of college football data to help our system better learn and made a few additional modifications to supercharge the system. When we finally got around to running our new version on last season’s data, we found that it beat Vegas 61% of the time and correctly predicted the bowl game winner 56% of the time. We do not care about predicting the CFP rankings. We care about good predictions of game outcomes and correctly predicting the CFP rankings may lead us in the wrong direction. Our model does not care about win-loss records. A team with a losing record who lost multiple away games against tough teams by narrow margins will likely end up higher in our rankings than an undefeated team that has played a creampuff schedule. 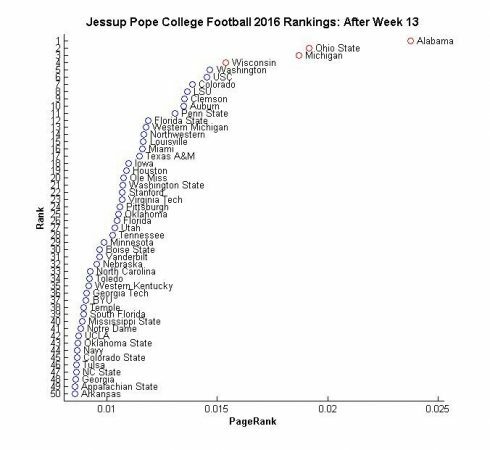 Our model is not biased by name recognition, what conference a team plays in, or start of the season rankings – three potential weaknesses of human ranking systems. Our model is forward-looking so as to predict future outcomes whereas traditional polls and ranking systems are backwards-looking and hence merely describe prior performance. As with last season, we are presenting the rankings using a dotplot which preserves the relative difference in JP values. For example, this image demonstrates that the difference in quality between teams 1 and 2 is larger than the difference between teams 15 and 50! No one should be surprised that Alabama and Michigan are ranked at the top. Our high ranking of Wisconsin is consistent with their strong performances against quality teams, despite their two losses, both against teams that we rank higher (Michigan followed by Ohio State at #3). My guess is that undefeated Clemson and Washington will round out the CFP’s top 4 in the first ranking of the season which will be released on Tuesday; though, our model suggests that they are currently on the outside looking in. Baylor and West Virginia’s losses this past weekend simplified the problem that would have otherwise arisen – people wondering why those two undefeated teams were ranked so low.